I fondly remember my Sichuan Chengdu trip some 10 years ago during the filming of Tian Ya Ren Wo Xing. Other than the impossibly beautiful scenary and pandas, Sichuan is also widely known for its food. 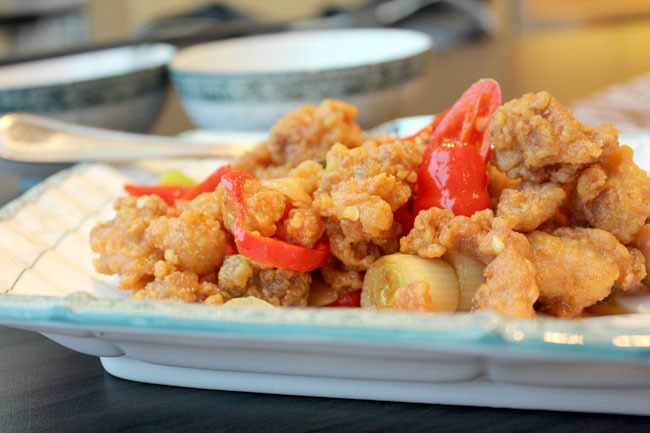 Being a huge fan of Sichuan cuisine, I can rattle out some of its iconic signatures – Kung pao chicken, mapo tofu, hot and sour soup, water-boiled fish, dan dan noodles and twice-cooked pork. 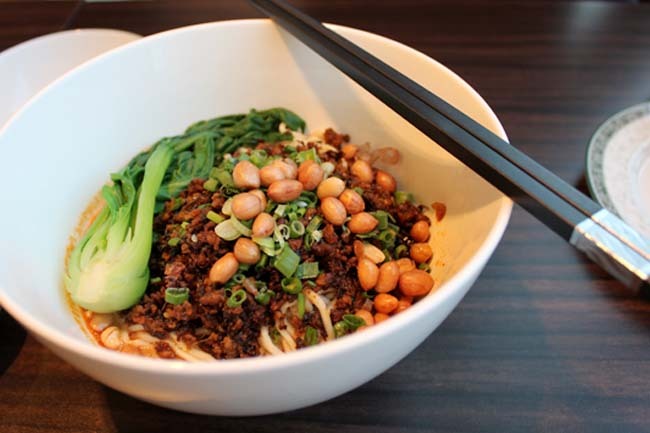 So I am somewhat trilled that Xiao La Jiao (meaning Little Chillies) has opened at I12 Katong Mall offering authentic Sichuan cuisine. (Incidentally, my Sichuan travel mate Magdalene was also nicknamed “Xiao La Jiao”.) As for its authenticity, the chefs all hail from Chengdu, who only use imported spices from there. I was first recommended the griddle-cooked dishes ($17.90) and manager Zi Qiang humorously asked if I wanted “local-styled” or “Sichuan-styled” which I opted for “somewhere in the middle”. 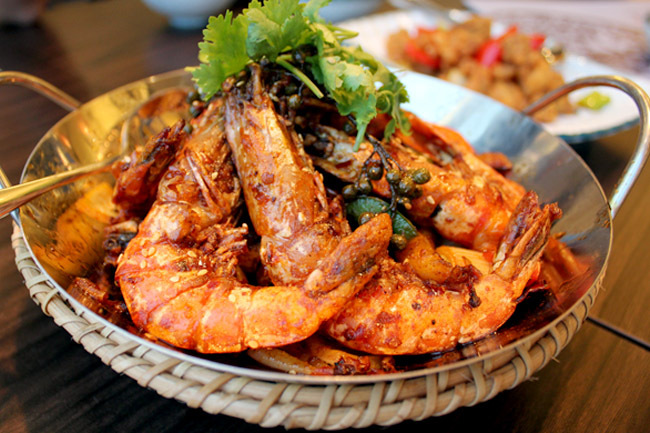 The griddle pot arrived with deep-fried prawns and potato strips overlaid with peppercorn, chill oil, onions and spices. Without any mental preparation, I took a bite and was triggered by a tingly numbness of the tongue. It was Hot! But shiok because the type of peppercorn spiciness reminded me of Sichuan immediately. yes i totally agree that shiok is the word to describe the food at this place! my tongue was numb after the meal. anw was looking through many entries in your blog and I really admire your photography skills! Really? I thought photography is my weakest link becos of my humble camera and skills, but I am definitely improving.